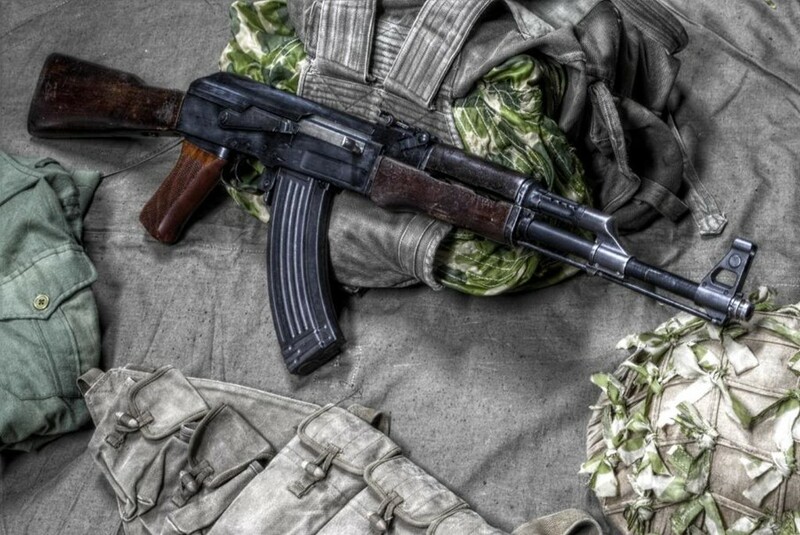 About 10% of all firearms in the world are AK-47s. The gun is so popular that “Kalash” is a common name for boys in parts of Africa. It is popular because of its supply chains. The Soviet Union wanted to standardize military equipment among its allies and supplied the guns and built factories in various countries to churn out the rifles. They flood the markets today. Due to its ubiquitous supply and usage it’s also easy to find ammunition for it. It isn’t a particularly good gun. Its features mean that it has low accuracy. However those very same features mean that it is unlikely to jam in a variety of conditions including in the desert or muddy marshes. It was designed to be used by Soviet soldiers wearing thick winter gloves – meaning that even children can use them. In Lebanon a version of the gun labelled “Bin Laden” sells for twice the normal price of an AK-47 because it’s the version that Al-Qaeda’s former boss is seen carrying in his videos. Read more about the gun, its history, and the country that pays homage to it on its flag over here. The “features” that make the gun “less accurate…and unlikely to jam” are greatly exaggerated. What makes it (kind of) have these characteristics is the wider tolerances allowed for the internal mechanisms. Compared to a standard AR-15, these tolerances are very wide indeed. However, they can be made to very accurate. It’s not just the loose tolerances that make them reliable; they are also piston operated, meaning that the gas essentially moves a stick that resets the trigger action and ejects the round casing, as opposed to an AR-15 which is direct impingment. (DI action basically “shits where it eats” and deposits all of the carbon and fouling into the chamber, meaning that the more rounds the weapon fires, the dirtier it gets.) the piston operation in the AK-series weapons is the main reason why the weapons are so reliable.